Sometimes old pots are used to make the best sauerkraut. And over the years, le Clou restaurant has remained true to its reputation. 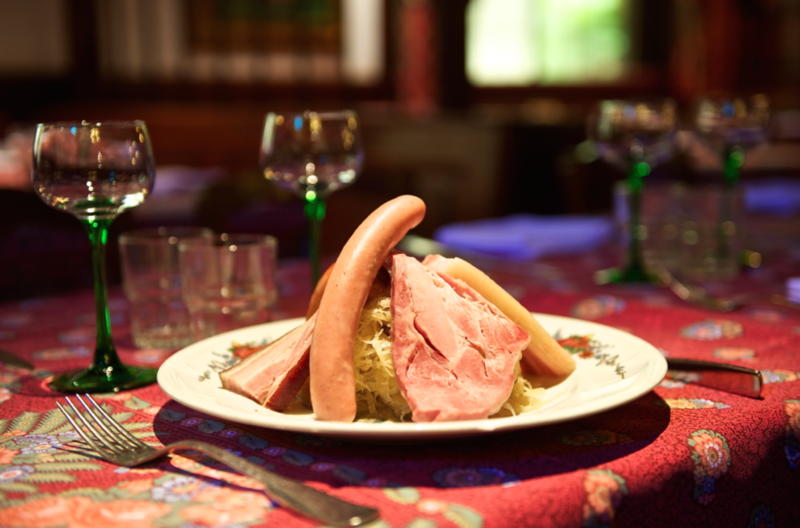 It's the perfect spot for typical Alsatian cuisine. The sauerkraut is delicious and well garnished, the seasonal black pudding is top class, as is the waddle (jambonneau) braised in pinot noir...maybe skip dessert though, it is not at the same level as the dishes. Open from Monday to Saturday from 11.45 a.m. to 2 p.m. and 5.30 p.m. to midnight. Closed on Sunday (except in December) and national holidays.